The trip by rail the whole family can be very exciting journey. An additional argument in favor of choosing this mode of transport is the opportunity to purchase children's tickets for a fraction of the full cost. How to buy a ticket for "Sapsan"
The so-called "child ticket" is a travel document that is issued on the minor child during carriage by rail. The design of such a document is made for children under certain age limits. Transport by rail child up to 5 years can be completely free. This feature applies to all the categories of cars, including mild, coupe, SV, reserved seats, General Seating cars. In order to be able of such transportation in advance at the box office to make a child a special free children's ticket by showing his birth certificate. It should be remembered that such transportation has a number of limitations. First, of course, parents or other accompanying persons have to follow with your child in the car in the same class as the child. Secondly, to move the child will be free only if it does not occupy a separate place in the selected category of cars. For example, parents carrying the three year old child in the car with reserved seats, shall be entitled to purchase two tickets at full price and get one free ticket for a child: in this case, they will be able to take in the car two seats according to tickets purchased at full price. The rail transportation of children aged 5 to 10 years is for a fee, which, however, is calculated in accordance with the special "child" rate. 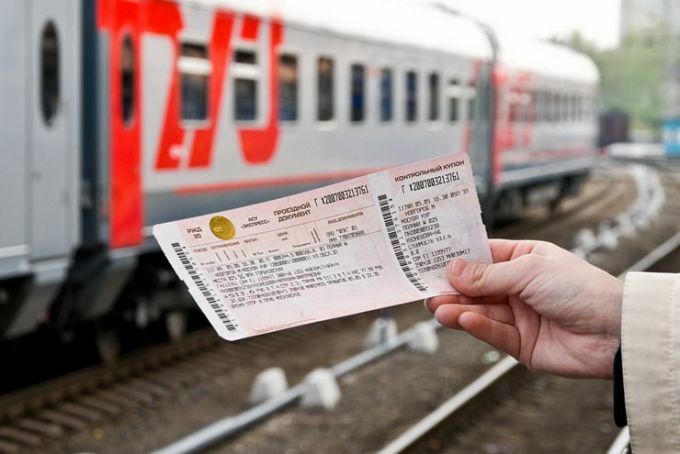 It represents the present value of an adult ticket, with discounts for each such "child" ticket is calculated depending on the category of the car, direction of travel, range, season, and other factors. The maximum discount in this case can reach 65%. The exact cost of child ticket on the right direction you can learn by contacting the ticket office or help Desk railway. This ticket, a free "children's" travel document should be issued before the trip to the ticket office, presenting the birth certificate of the child. It should be borne in mind that in cars category soft the age until which a child can be transported free of charge, extended to 10 years. This and other rules of transportation of children by rail, however, applies only to trains plying on the territory of Russia. To transport children on international routes, special rules apply in each direction, so it is better to see in advance.